El Salvador is a middle-income country with 6.21 million inhabitants (52.3 percent women, 47.7 percent men) located in the Pacific coast of Central America. El Salvador is the smallest and most densely populated country of this region, with an average of 295 inhabitants per square kilometer. In 2014, El Salvador experienced the negative impact of the coffee rust disease and a severe drought which affected over 30,000 families across the country. Security has remained a major concern for authorities in 2014. Gangs—also known as maras—and organized crime concentrate their activities on narcotics, homicides, carjacking and extortion. El Salvador ranks fourth in list of countries with the highest homicide rate, as of 2012. Improving social protection schemes through food and nutrition based interventions: WFP seeks to provide nutrition education and complementary feeding to 20,000 children under two and 2,000 pregnant and lactating women. The actions are focused in 36 municipalities where 1 out of every 5 children does not consume enough food in quantity and quality. Strengthening disaster risk mitigation and emergency response: WFP’s mechanism to provide support the Government of El Salvador in its efforts to attend to populations most affected by emergencies caused by floods, droughts, earthquakes, volcanic eruptions and pests. At present, WFP is piloting the modality of cash and voucher transfers to support vulnerable rural families whose food security has been hampered by the impact of the coffee leaf rust on their livelihoods. Strengthening small-scale agriculture and associated marked development: WFP is implementing initiatives to reduce the vulnerability to food insecurity of smallholder farmers of basic grains. 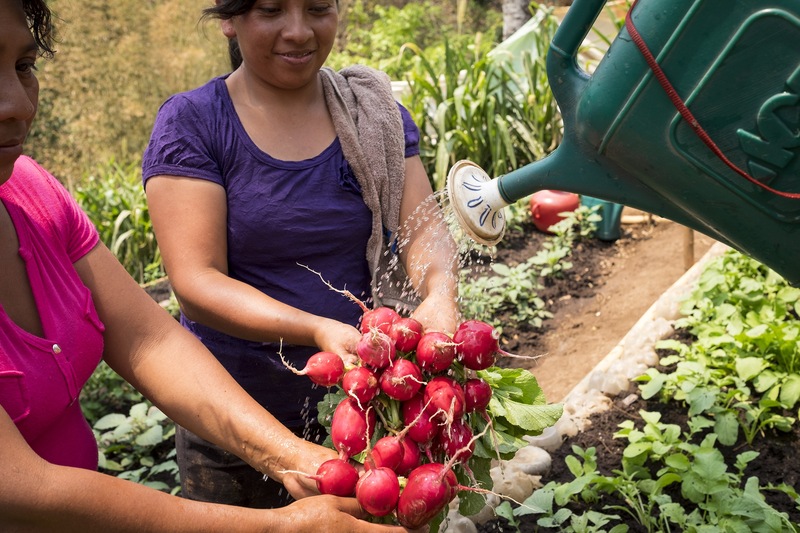 WFP is strengthening their capacities to compete more fairly, increase their incomes, improve quality and local production toward greater food security for their families. draws from its extensive experience in social protection and training programs to help at-risk youth in greater San Salvador to pursue a one-year apprenticeship in a skilled trade of their choosing and to receive technical and practical, on-the-job training to learn a profession. To encourage enrollment and participation in the program, a conditional food voucher is supplied to participants. After undergoing training and gaining access to sustainable employment with a decent wage, at-risk youth are not as likely to join gangs or migrate to other countries to earn a living.